Posted on June 12, 2014 by Anuja P.
I met him without any expectations yet he surpassed all of them. The first thing that stood out was his name, Rand al’Thor. I hadn’t heard a name like that before, but he seemed unaware of the way it sounded. To me it was almost, princely, yet to him it was just a simple shepherd’s name. Rand al’Thor, a shepherd from the town of Two Rivers, did not know his shy and well-mannered behaviour was pleasing. He didn’t know that at 6’5 and with shocking red hair, he stood out in an intriguing way. I think the fact that he was so unaware of himself in those ways, was what drew me to him the most. And so we began our journey together. Well, he was (and is) pretty unaware of my existence but his has become a part of my daily routine and nightly fantasies. The thing about Rand is that he’s the solid, dependable type of guy who has doubts only when it comes to saving himself. When it comes to helping others, he’s on the job until it gets done. Many young women of Two Rivers no doubt find this hero persona very attractive but they all know he will do his duty and marry Egwene al’Vere, his promised. Not that he has need to complain of course. He’s very fond of Egwene and she’s certainly worthy of Rand and more. However, I do wonder at times, do they love each other because they haven’t allowed themselves to experience anything different? I’d always thought that Egwene would be the first one to try out a different romance, just to see what it’s like (and I later found out that I was right). Rand on the other hand is the type to think about it once in a while but immediately admonish the thought. It goes against his duty and honour. As the days past, I watched Rand overcome mammoth difficulties. He became much more than a shepherd from Two Rivers. Each new challenge strengthened his resolve, hardened his sense of duty, and firmly rooted his honour. He really does have the makings of the hero he currently plays at. But you see the thing with heroes is that their penchant for greatness can be manipulated if you know how. Rand is already facing this challenge and managing to stay his course. It feels like he’s in a vacuum at the moment though. The space between playing a hero and actually becoming one, or letting circumstance turn him into a villain. I’ll just have to continue reading and find out. What will you choose, Rand al’Thor? Note: Written for the Blogging 101 Day Six Prompt: Who’s the most interesting person (or people) you’ve met this year? P.S. 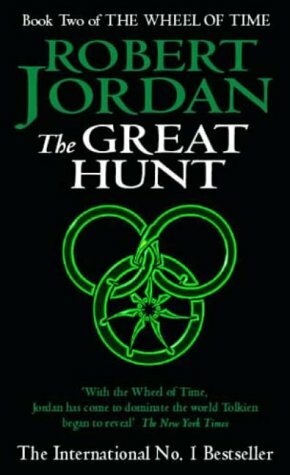 : If you want to know more about Rand, I suggest you start reading The Wheel of Time Series. Also, I’m really falling behind on these prompts! Posted on June 10, 2014 by Anuja P.
I read the words again. Tears swelled in my eyes, threatening to fall over. But I wiped them away quietly. I’d waited so long to hear “It was always you”. I’d loved Fred for three years. Three difficult years during which he hadn’t shown a hint of anything more than friendship. My roommate was the only one who knew, and the only one who helped me through it. She was gone now though. She’d moved out only five days ago. Moved on to a new job and a new life. Unfortunately she’d left this behind, the letter Fred wrote her. Written for the Writing 101 Day Five Prompt: You discover a letter on a path that affects you deeply. Today, write about this encounter. And your twist? Be as succinct as possible. This post is a few days overdue. Apologies. “Your daughter has an eating disorder. It’s most likely caused by…”. She tuned out the rest of what the doctor was saying. She didn’t need to hear it from him. She didn’t have an eating disorder. She just didn’t want to eat. It happened three months ago. She finally got tired of food. Everyone made jokes at first. “You don’t want another helping? Let me just pinch myself to see if I’m dreaming.” They could joke all they wanted and pinch as well. She was done with food. Her parents were the only ones who didn’t laugh. They were worried as soon as they noticed the change. Countless questions and probing brought nothing out. She wouldn’t say why. How could she? How do you explain a feeling you don’t understand yourself? How do you tell someone that you’ve given up trying to fill the emptiness inside you when your body looks full? Written for the daily prompt: Write about loss. This is the first part of a three part post. More soon. Posted on June 5, 2014 by Anuja P.
Writing 101 Day Three Prompt: Write about the three most important songs in your life — what do they mean to you? There’s something about this song that makes everything about it feel right, which is strange considering I will definitely not try everything once. This one is just something that takes me back to my childhood. This song reminds me of certain days in 2009 and 2010 that were simply some of the best days of my life. I feel the urge to put a “:)” here. What are your top three songs? Tell me in the comments, maybe? The cafe stood in an inner courtyard, surrounded by a scenic verandah on all four sides. Looking at the place from outside, you’d only see a somewhat weathered residential building, and walk past without a second glance. But if you knew you had to make your way down a little further, turn into the alley next door, and walk in the small black side door, you’d find yourself in a rather charming cafe. It was called “Petit Paradis Blanc” (Little White Heaven), and you’d understand why from the moment you stepped in. Everything was white and everything was heaven. The steady columns that held up the surrounding verandah, the wrought iron tables and chairs, the place settings, the server’s uniforms, and even the tiles were all in blanc. The 7-feet tall tree that stood in the middle of the courtyard was full of white leaves that managed to hide most of its dark bark. The people, however, stood out. Everyone wore pleasing blues and greens and pinks in pastels. It was the unofficial dress code here. I once asked Mrs Rosa why everything was white. She told me it was so that people could feel calm, and she could see them shine as they found their inner peace. It all seemed very much like something out of a novel, to be honest. Written for the Writing 101 Day Two Prompt: A Room with a View. Posted on June 4, 2014 by Anuja P.
This is the second book in The Wheel of Time series. I got into these books last month only, and already, I cannot get enough. For the uninitiated, The Wheel of Time is an epic, 15-book, fantasy series written by Robert Jordan. It’s set in a world where magic is in the form of the “One Power”, and starts with the protagonist, Rand al’Thor’s battle against the Dark One (who must not be named. I see now why JK Rowling got flack for some of her “inspirations”). This series will appeal to readers of the Lord of the Rings and A Song of Ice and Fire series. Also, please note that each book is around 700-800 pages long, so you really do have to be ready to commit to take on this beast. As I mentioned earlier, I’m only making my way through Book Two right now, but I think it’s worth the investment already. Does anyone ever need to explain why The Strokes make it to their list of favourites? I think not. Fans of The Arctic Monkeys, The Kooks, The Zutons, and similar bands are going to love them. But if you’re a fan of any of those bands, chances are that you’re already a fan of The Strokes. So, let this be a reminder for you to re-listen to them. I’ve chosen Razorblade here only because it’s currently stuck in my head. Special mention should go to “I’ll Try Anything Once”, their demo version of what eventually became “You Only Live Once”, which is my favourite Strokes song of all time. If you know me personally, you’ll know that this has been my favourite activity for quite a while now. However, I’ve had to take a break recently. So, I’m very excited to get back to it regularly now. I find it hard to believe these words even as I’m typing them—me, taking health things seriously! I suppose this is a by-product of old age. You finally realise that unlike your iPhone, you’re not going to be able to trade in your body for a new one. Though, it would be very nice to be able to do that, no? I’d get one without Siri though. I have enough voices in my head already. I’ve tried cinnamon rolls and mini pretzels so far. Both have not been great successes. I basically didn’t add enough sugar to either. I thought I could get away with sneaking in a bit of “health consciousness” (I blame all the health freaks on the Internet who tell me substituting honey for sugar tastes the same. It does not.). I could not. These things taste the way they do because they’re not really good for us. And you know what, I’m going back to adding sugar as per the recipe. You can cheat on food if you work out later. That’s what I’m telling myself. On the upside (or the downside? ), I put together an excellent Upside Down Apple cake a while back. I recommend this recipe. There. I said it. I’m a little bit of a Mactard (for which I apologise), and I’m quite excited that Apple’s finally opening up Beta registrations for us “generals”, as I like to call us non-developers. I will make no apologies for my excitement. 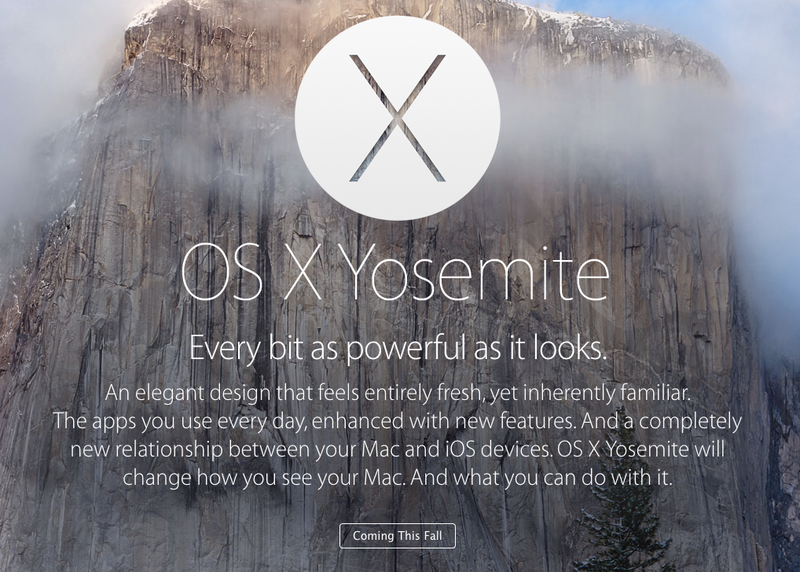 I’m genuinely looking forward to the new features of Spotlight, Safari, and iCloud Drive. I’m also pumped about Continuity. Gone will be the days when I have to actually lift my phone to answer a call when I’m on my Mac. The lazy person in me is rejoicing. So, there you have it. Those are my picks for my favourite things for June. Let me know about yours in the comments or on Twitter @anujap.